Discover San Francisco as you would if you were visiting a friend who lived there, someone who knows their city, and you inside out! Whether you want to tick the most famous attractions off your bucket list or discover an off the beaten path neighbourhood, your local will create a personalised experience just for you. 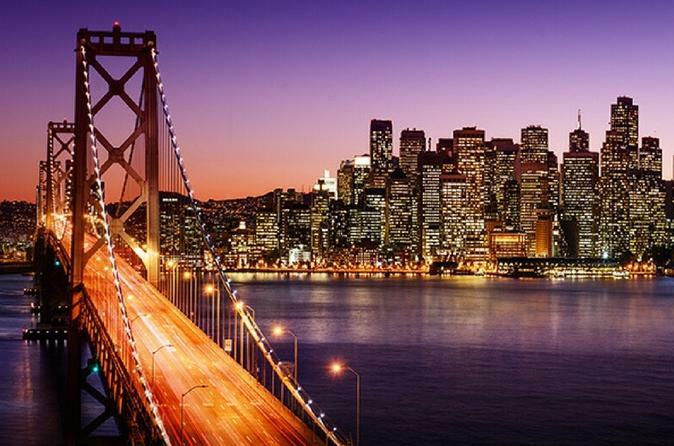 See the highlights, immerse yourself in the culture and live like a local for a day as you stroll through the city, discovering its diversity, vibrant culture and tasting the incredible global flavours that make SF’s food scene so creative and vibrant. Ditch the guidebook, and with your host by your side to navigate, skip the tourist traps and see the real San Francisco like a local! Visit the most iconic sights like Pier 39 and Fisherman’s Wharf, Golden Gate Park and hop on a vintage cable car, as well as exploring local neighbourhoods like vibrant and historic Chinatown where you can really immerse yourself in the local culture and taste some authentic cuisine. Eat your way around the tastiest spots in the city, since with so many hills and beautiful clifftop trails to discover, you’re sure to work up an appetite! Get to know the local food scene as you pick up a bite to eat from a food truck, try the locals’ favourite tacos from a tiny taqueria and taste some authentic Korean or Chinese cuisine. As well as visiting the places you most want to see, stop by local spots and places of interest along the way that your host recommends to get an authentic insight into local life in SF. The locals here love their active, outdoor lifestyle, so whether you want to head to the best vantage point to see the sun set over the city, discover a hidden trail with great views of the Golden Gate Bridge or get involved in a quirky activity like frisbee golf, your local will help you discover the real SF.